Basic Elegant is a designed to give you elegant look. In today’s modern war of widescreen, full width webdesigns, I tried to create fixed width but elegant looking design. So you can have a unique looking website for your next website. Suited for any kind of blogs. 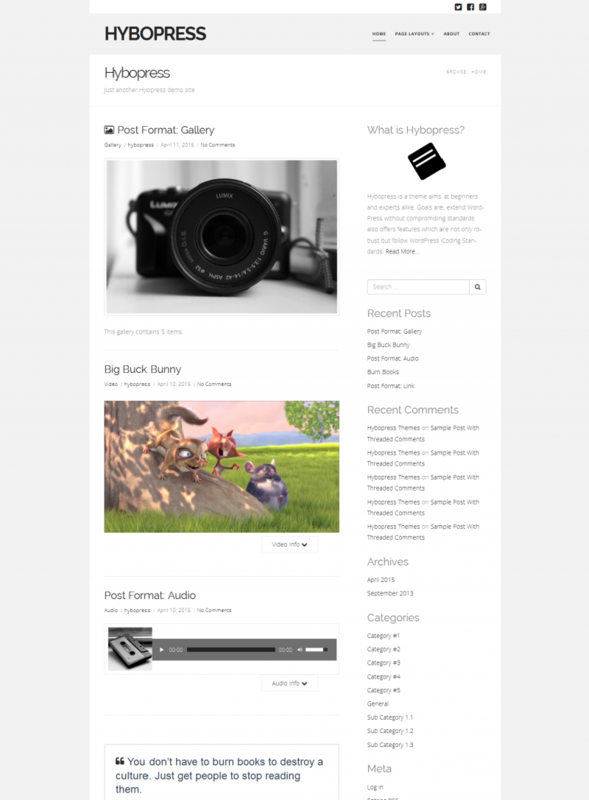 The Theme is built on top of the fabulous Hybrid Framework and Hybopress Basic Parent theme. Basic Elegant inherits all of the goodness of parent theme “Hybopress Basic”, but provides you elegant blog design. Clean, Elegant Design can be used for any type of blog (Travel, food or health, choice is yours).